Technology is at the forefront of the latest kitchen and bathroom design, but how can developers take advantage of the advancements? How can you avoid the passing fads and identify the design trends that are here to stay?Brad Street, Head of Winning Commercial, explains, “With a record number of high density dwellings underway and interest rates at an all time low, the need for developers to leverage technology and design to establish housing that lends itself to the Australian lifestyle is imperative. Carefully chosen appliances in kitchens, bathrooms and laundries can make a huge difference to buyers, whilst demonstrating a high level of finish by the developer. “The kitchen is the heart of the home and it is subsequently one of the most important criteria that influences the purchasing behaviour for new homeowners. A trusted and knowledgeable appliance supplier should be able to ensure that you are offering your buyers the latest technological advancements from the world’s best appliance brands so that they can cook and live well in their new homes," Mr Street said. Brad Street is Head of Winning Commercial. Winning Appliances’ Commercial Division provides appliance and bathroom solutions to all sectors of the building and kitchen cabinet industry. 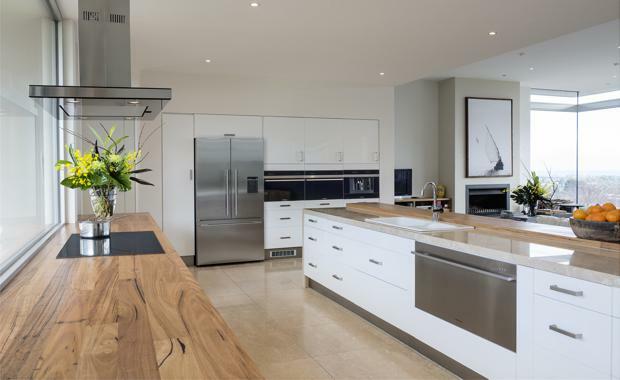 With more than 25 years of experience, the team works with builders, developers, architects and designers Australia-wide, and caters to the needs of all sized projects, from smaller-scale projects to major developments. Please visit here to find out more about Winning Commercial.